Have you heard this one before? An Apple employee walks into a bar in California with a top-secret iPhone prototype – and leaves it behind. Apple then scrambles to recover the phone, involving the police in the process after it has been sold by a finder, eventually getting it back under wraps. It happened in April last year – and now, says CNet, it has happened again with a prototype of the very latest iPhone, expected to be launched within the next few weeks. But this time Apple does not appear to have got the phone back. According to the report, the phone was lost while being tested outside the Apple campus in a Mexican restaurant in San Francisco’s Mission district, and then sold on Craigslist for $200 (£123). It was initially left in a bar called Cava22, which says it takes “real pride in bringing a live and festive Mexican experience, for all our cleints [sic] to enjoy” including a margarita sweet-and-sour mix, by an Apple employee who appears to have been testing it off Apple’s campus. The company carries out external testing by letting selected staff take prototypes to urban and other locations in order to test its behaviour in normal settings, rather than the laboratory conditions of its own headquarters. But they are not meant to leave them behind. “I guess I’ll have to make my drinks a little less strong,” the owner, Jose Valle, told CNet. CNet says Apple contacted the San Francisco police as soon as the loss was discovered and told them that the phone was “priceless” and that the company wanted its safe return. It was eventually tracked down via a location-tracking system built into the phone to a single-family home in San Francisco’s Bernal Heights area, says CNet. But when police and Apple’s investigators visited the house, the occupant denied any knowledge of the phone, and it wasn’t recovered despite a search – with the occupant’s permission – of the residence. Apple has not commented on the events, which come as interest in the successor to the iPhone 4 – which has variously been guessed at as being called the iPhone 4G, 4S and iPhone 5 – is growing. With the existing model now comparatively old in smartphone terms, having been released in June 2010, the expectation is the next model will have to bring dramatic improvements in performance to compete with rival handsets from companies such as Samsung, Motorola and HTC using Google’s Android operating system. New versions of the iPhone are expected to use more powerful processors and have a different arrangement of the antenna system in the casing. The external antenna caused a media furore last year after some users complained that reception seemed to drop when their hand completed a contact between two metal components. One source at a carrier company suggested to the Guardian the problem arose because the prototype phones are principally tested on the Apple campus, in areas with relatively strong mobile signals; the signal drop from the antenna “bridging” was principally seen in areas with weaker reception. Apple is understood to provide carrier companies with iPhones for testing that are shipped in sealed boxes so that staff cannot see the exterior. The tests are necessary to ensure that the phones comply with network software requirements. Last year a prototype of the iPhone 4 was left in a beer garden by Gray Powell, an Apple engineer. That eventually made its way to the gadget blog Gizmodo, which published pictures and a video of the device. Apple called in the police, who got a warrant to search the home of Jason Chen, Gizmodo’s editor. Early in August, prosecutors in San Mateo filed criminal charges against two men, alleging that they sold the iPhone 4 prototype to Gizmodo. It is illegal under California law to take lost property if you know who the owner is likely to be, punishable by up to a year in prison. In a message of utter anger and defiance that aired Thursday, a man purported to be Libya’s fugitive leader Moammar Gadhafi urged Libyans to continue the fight and not surrender. “We are not cowards,” he said in an audio message broadcast on Syrian-based Rai TV a day after two of Gadhafi’s sons gave mixed messages about whether his supporters should lay down their arms. He spoke on the 42nd anniversary of his assumption of power through a military coup and on a day when his foes were mapping out the next phase of Libya’s history. At a meeting in Paris, global leaders welcomed the National Transitional Council’s top leadership as the new government of Libya. Gadhafi’s words offered nothing new since the last time he was heard on August 25, after the rebels arrived in Tripoli, but suggested, though not conclusively, that Gadhafi is still alive. He called the rebels “traitors” and “animals” and said the Libyan people will lose trust in them. Libyans are not frightened of sacrifice, he said, and should stand up to the rebels. The rebels still face battles in cities where loyalists still hold sway. But in Tripoli, military spokesman Mahdi Al Arash tempered the extension by telling CNN the rebels are still meeting to discuss options to avoid further bloodshed. Gadhafi’s alleged message was intriguing in that his whereabouts remain a big mystery. No clues surfaced from the message about where he is hiding or when it was recorded. Gadhafi’s foreign minister, Abdel Ati al-Obeidi, who had been contacting the council for the past few days, surrendered Wednesday night, council member Elamin Belhaj told CNN. “He is in a safe location now and al-Obeidi is satisfied with it,” Belhaj said. Thursday marked Day 12 since opposition forces stormed the capital and captured Gadhafi’s Tripoli compound. Speculation that Gadhafi may be in Algeria gained ground this week after the neighboring nation confirmed that his wife, pregnant daughter, two of his sons and other relatives fled there. A doctor in the gynecology department of Djanet Hospital said Gadhafi’s daughter Aisha arrived there Monday and gave birth to a baby girl, Zafia, and left about 2 p.m. The doctor is not authorized to speak to the media and did not want to be identified. The doctor said he did not know where the family went after that. The transitional council wants them extradited back to Libya. Ahead of Gadhafi’s audio message, two of his sons appeared to offer divergent and sometimes contradictory answers Wednesday on whether loyalists should keep fighting or negotiate. “Victory or martyrdom!” said a man who identified himself as Saif Gadhafi, speaking on Rai TV. The man said he was speaking from a Tripoli suburb, where he had met with residents and found their morale was high. He also said he had recently visited the family’s compound, Bab al-Aziziya in Tripoli, an improbable statement since it was overrun by rebels. Saif Gadhafi predicted the rebels near Sirte would find 20,000 fighters “ready, willing and able” to defend the loyalist stronghold where his father was born. But council member Abdulrazag Elaradi told CNN that he is not aware of any meeting by tribal leaders in Bani Walid to support Gadhafi. He said the rebels were not involved in any negotiations with loyalist forces. On another station, a man purporting to be Saif’s brother appeared open to the possibility of surrender, but with a catch. “If this will prevent bloodshed, we will do it, just give us guarantees,” said a man identified by Al Arabiya as Saadi Gadhafi. “We need to stop the bloodshed right away,” Saadi Gadhafi said, adding that he was speaking on behalf of his father. Despite that talk, Saadi Gadhafi told CNN Wednesday in an e-mail that he was leaning against surrendering to the rebels. Moammar Gadhafi, Saif Gadhafi and the former head of military intelligence, Abdullah Al-Senussi, face charges in the International Criminal Court at The Hague, Netherlands, for crimes against humanity. In a shift of tactics that has alarmed American officials, the antisecrecy organization WikiLeaks has published on the Web nearly 134,000 leaked diplomatic cables in recent days, more than six times the total disclosed publicly since the posting of the leaked State Department documents began last November. State Department officials and human rights activists have been concerned that such diplomatic sources, including activists, journalists and academics in authoritarian countries, could face reprisals, including dismissal from their jobs, prosecution or violence. Since late 2010, The New York Times and several other news organizations have had access to more than 250,000 State Department cables originally obtained by WikiLeaks, citing them in news articles and publishing a relatively small number of cables deemed newsworthy. But The Times and other publications that had access to the documents removed the names of people judged vulnerable to retaliation. WikiLeaks published some cables on its own Web site, but until the latest release, the group had also provided versions of the cables that had been edited to protect low-level diplomatic sources. Speak Asia COO Tarak Bajpai was detained by the Economic Offenses Wing of the Mumbai police for questioning on Friday. The online survey company hit controversy in a multi-crore scam. The move comes just two days after CID froze the online survey company’s bank accounts. Bajpai, who is the most prominent face of the online survey company’s India operations will be flown from Indore to Mumbai. Speak Asia is being investigated for a multi-level fraud. FIRs and PILs have been filed against it. The company has maintained that it collects money only for its online magazine and that the survey is just a benefit. Speaking to CNN-IBN, Kirit Somaiya said that three other officials of speak Asia are likely to be arrested soon. The Singapore-based company Speak Asia, which is yet to be incorporated as a company in India, would be inspected under section 591 of the Companies Act, which is applicable on companies incorporated outside India and has established a place of business within the country. The company charges a membership fee is Rs 11,000 for a year. The members are expected to conduct online surveys for clients of the firm. Members are paid for conducting the surveys. The company said that it pays Rs 500 for every survey to its member. Nokia today announced that it will phase out its Ovi brand and rebrand it as Nokia from July. “The target for rebranding is 18 months, but we hope to do it earlier. It will be seamless switchover to the new brand and there will be no impact on customers,” Nokia marketing director Viral Oza said here on the sidelines of the launch of a dual sim phone. The new devices to be launched will have the new branding of Nokia and for older handsets new applications will be upgraded gradually, he said. The company expected to do well in the dual-sim phone market that contributed 40 per cent of the total Indian handset market. So Microsoft is buying Skype for $8.5 billion, its biggest deal ever. It’s too soon to make a pronouncement on whether the purchase is an idiot move, a brilliant one or just something in between. All the geniuses who ripped the investors who bought Skype from eBay in 2009 don’t look so smart now. It was almost Google who owned Skype. 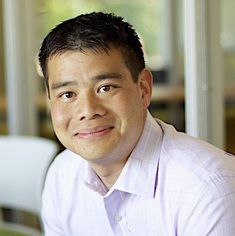 In 2009 a brilliant product manager named Wesley Chan was in charge of Google Voice, which was still in development. It was Google’s revamp of Grand Central, which Chan had snared in an acquisition the year before. When some Google executives heard that eBay was selling Skype, they jumped on the opportunity and began negotiating. As Chan helped with due diligence, even going to Europe to see Skype firsthand, he became convinced that the purchase was a bad idea for Google. He concluded that one of Skype’s key assets — its peer-to-peer technology — was a mismatch for Google, which worked on the newer paradigm of cloud computing. The rules under section 43A of the Information Technology Act were enacted last month and reflect the government’s perception that security threats to the country can be countered by better access to online information. The country is, for example, locked in a dispute with Research In Motion, demanding access to e-mails and other communications on RIM’s corporate service, called BlackBerry Enterprise Server. 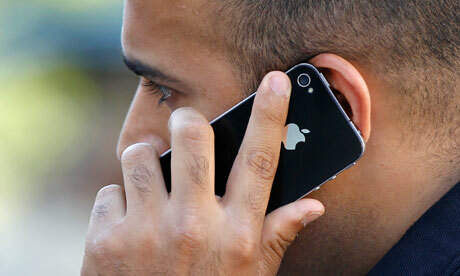 Privacy groups and lawyers have described the rules as draconian and said they infringe Indians’ fundamental rights. “These are arbitrary powers that are being given to government, without any checks and balances,” said Pavan Dugga, a cyberlaw consultant and advocate in India’s Supreme Court. Just days after reports that Google and Facebook were interested in partnering with, and possibly buying VoIP company Skype, Microsoft announced that it was buying the company for $8.56 billion in cash. Last year, Skype had revenue of $860 million on which it posted an operating profit of $264 million. However, it overall made a small loss, of $7 million, and had long-term debt of $686 million. It was the second time Skype has been bought out; after being started in 2003, it was purchasd by eBay in 2005 for $3.1 billion. eBay then sold the majority of its stake in 2009 to a private investment group for $1.2 billion less than it paid. In a recent brand survey by Millward Brown, Apple has taken the top spot from Google as the world’s most valuable brand. The survey revealed the Apple brand to be worth a staggering $153 billion; which was a huge increase on last year’s figures. This resulted in Apple coming out on top and ended Google’s four year reign at the top. Out of the top ten brands revealed in the survey, six were technology and telecoms companies. Google at number two, IBM at number three, Microsoft at number five, AT&T made number seven and China Mobile number nine. The survey takes the value that the company puts on its own brand in its earnings report as a starting point. This is then combined with the perceptions of over 2 million consumers in the market who are surveyed over a 12 month period. A factor is then applied based on the company’s short-term future growth prospects. The Telecom Regulatory Authority of India (Trai) is not keen on Bharat Sanchar Nigam Ltd (BSNL) rolling out the national optical fibre network to provide high-speed Internet connection across India. The network rollout project is part of the national broadband plan, being finalised by the telecom ministry, to provide high-speed Internet connections to 160 million households by 2014. Trai has argued that the move will be anti-competitive. The department of telecom (DoT) had proposed that BSNL should act as the executing agency to roll out the network with government funding. The project is estimated to cost Rs 60,000 crore.